Price Improvement! 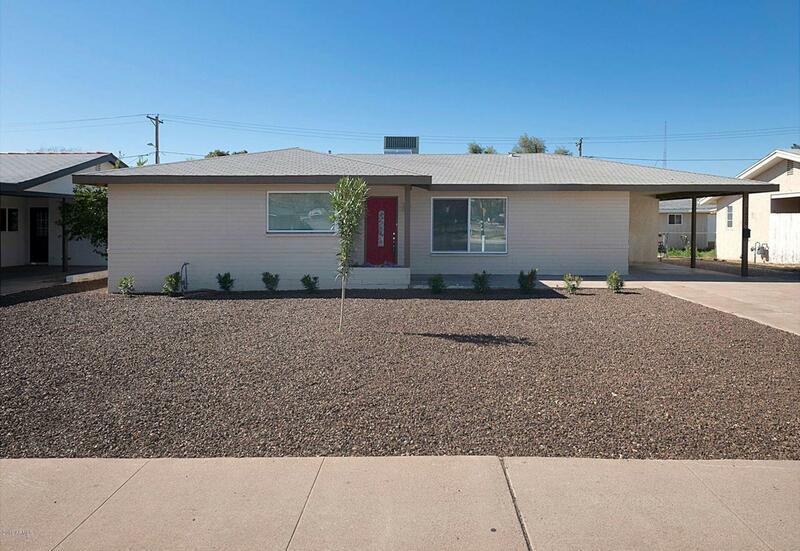 Complete Contemporary remodel in Prime Phoenix location just minutes south of Arcadia. Open floor plan with stylish wood-look title plank flooring, large open formal living room and separate family room. The kitchen boasts Alaskan White granite countertops, Black Stainless Steal appliances, white cabinetry, wine rack, large island and breakfast bar. There is ample natural lighting throughout. NO expense spared inside this home, with energy efficient windows, new plumbing, new AC and duct work. Large back yard with single car detached garage with room to pour extra slab for additional parking. Would make a great Airbnb or VRBO. Come and see this beauty and make an offer! Call now to see this wonderfully remodeled home! MOTIVATED SELLERS! Bring your offers!